[s] Collide Easter egg hunt! / [s] Collide Easter egg hunt! IT'S TIME FOR AN EASTER EGG HUNT!!!! [s] Collide had a bunch of easter eggs in it, and since it's a YouTube video, you can post exact times! 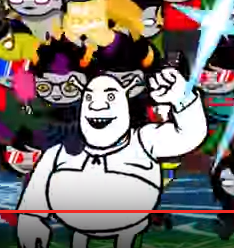 One of my favorite easter eggs was ALIVE ERIDAN RIDING ON SHREK'S SHOULDER. It can be found at 10:58 in the video. Post the easter eggs you found below. RE: [s] Collide Easter egg hunt! 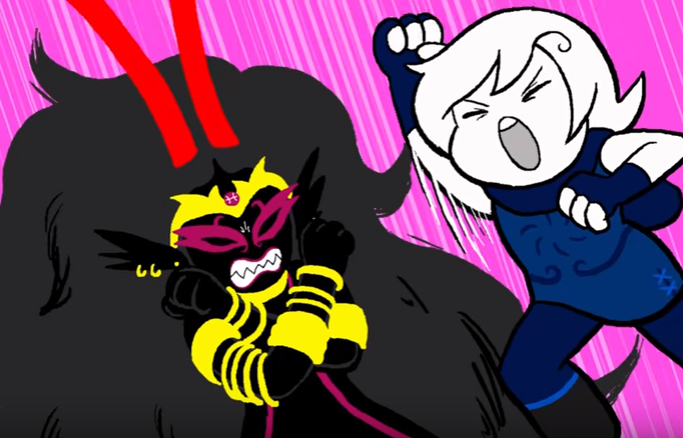 To say nothing of the entirety of the Davepeta and Lord English fight. (04-07-2016 02:14 AM)Haruhi Suzumiya Wrote: To say nothing of the entirety of the Davepeta and Lord English fight. I probably should've pointed that one out as well. 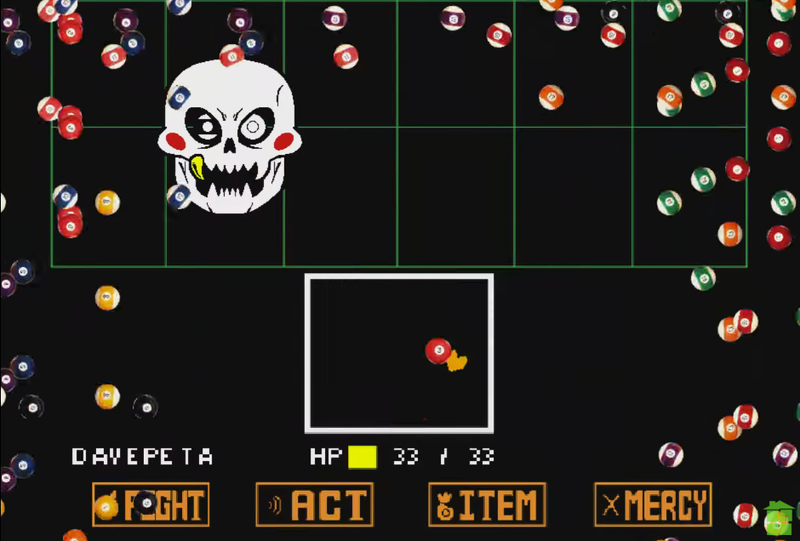 The Undertale reference at 11:10. This is the first time he smiles in canon. A moment of silence for all of the Eridan fans, those poor souls. Not only is it at the 11:11 timestamp, but DavePetaSprite has 33 health. At 5:06 Dirk does the thumbs down thing like Bro. When fighting Condesce Roxy performs a Hurrican Kick and a Shoryuken from Street Fighter games. Well, she does like old school video games.